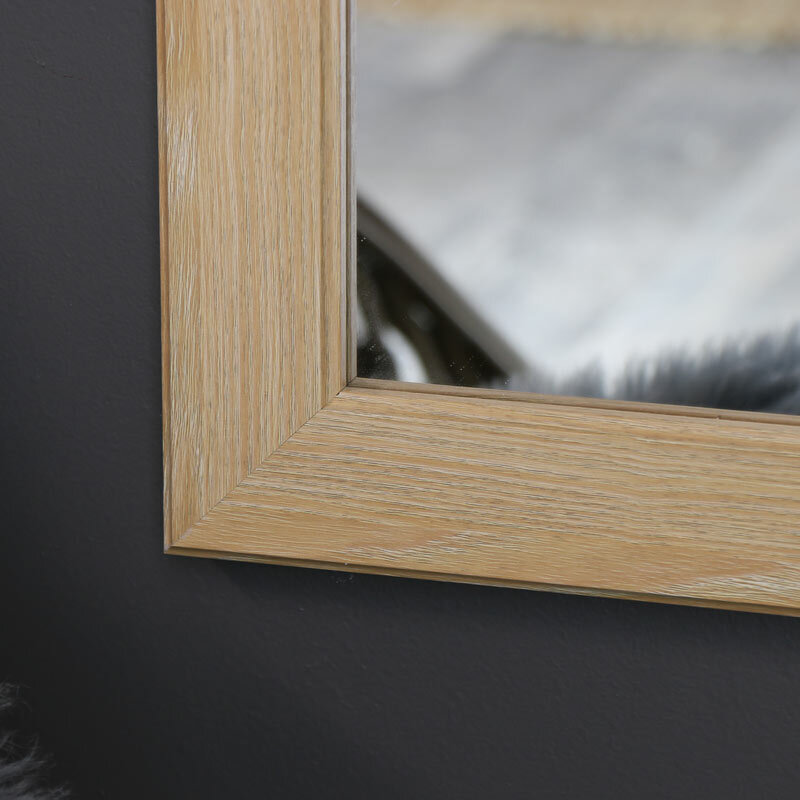 Add style and character to your home with this large natural wooden framed wall mirror. 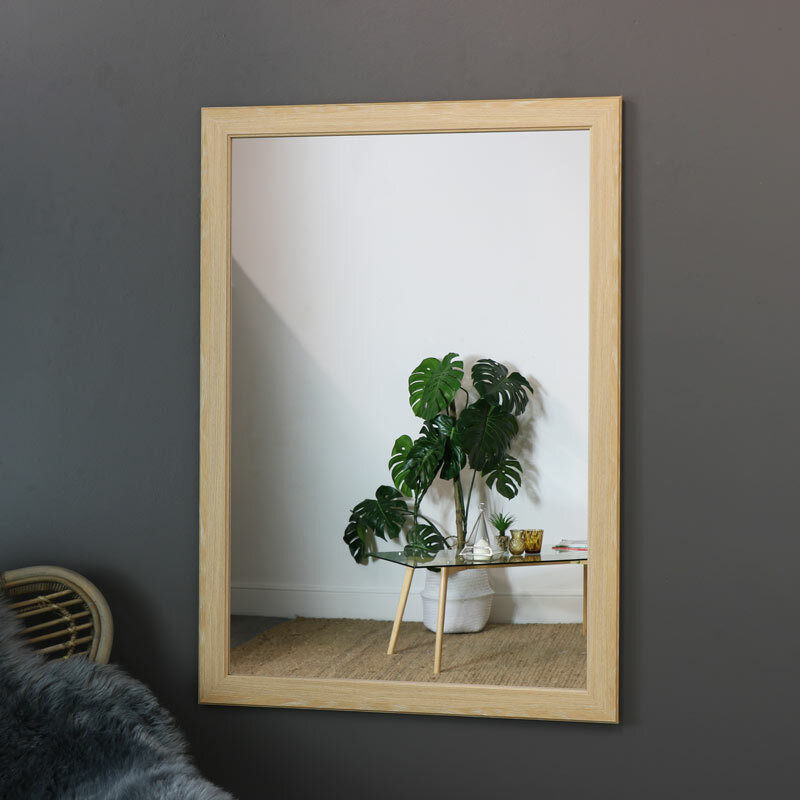 Give your home a modern makeover with this natural look wood framed wall mirror. In a large design, this is perfect for adding a sense of light and space to a room and will suit most modern and Scandi style interiors. Hang in a landscape or portrait orientation to suit your style. Wooden frame in a light natural wood finish. Easily wall mounted with fixings on the back to hang horizontal or vertically to suit.